PHP is no longer just a great scripting language for websites, it's now a powerful general-purpose programming language. Expand your use of PHP into your back-end systems, server software, data processing services, desktop interfaces and more. as well as covering software tools for development and outlining other great sources of technical information and help. 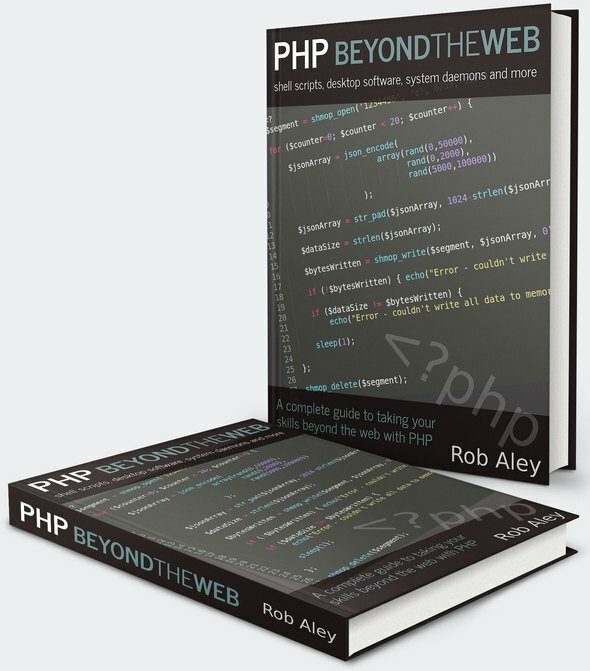 This book will introduce you to the tools, techniques and background necessary to program just about anything you can think of, using the PHP you already know. It will also take you through some of the tools used by serious software developers and engineers, and introduce further sources of information and online resources that will help you get serious about developing real software in PHP. No DRM nonsense. Easily read it on all of your devices, when you want.